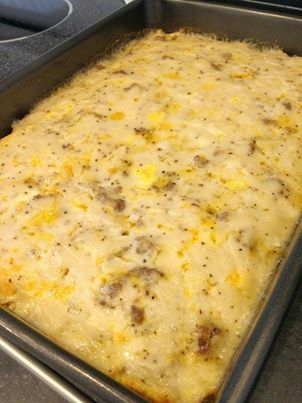 Biscuit and Gravy Casserole Recipe is a meal in itself, yet simple and easy to prepare and cook using sausage, pork gravy mix, cheddar cheese, eggs, milk, salt and pepper and canned biscuits. Preheat oven to 350 degrees. Take a 9x13 pan and spray it with Pam or whatever you like to use. Then take the Biscuits and cut into 1" pieces and line bottom of pan. Brown Sausage and scatter over biscuits. 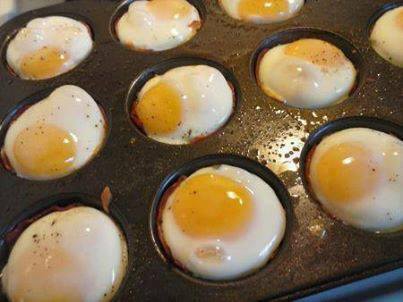 Whisk eggs and milk with a pinch of salt and pepper and pour it over the pan. Make Gravy mix per package directions and pour over. Bake in the oven for about 30-45 minutes.